I THOU SHALT KNOW THINE AUDIENCE AND REMEMBER ABOVE ALL ELSE THAT THINE MESSAGE MUST AT ALL TIMES RESPOND TO THINE AUDIENCE’S INTERESTS, NEEDS AND CONCERNS. II THOU SHALT ACTUALLY PRACTICE WHAT THOU DOTH PLAN TO SAY BY SPEAKING IT OUT LOUD MANY TIMES. THOU CANST NOT GET AWAY WITH “WINGING IT” NO MATTER HOW SMART ONE THINKST ONE IS. III THOU SHALT PREPARE AN EFFECTIVE OPENING “GRABBER” TO GALVANIZE THINE AUDIENCE’S ALWAYS FRAGILE ATTENTION. IV THOU SHALT BE CONCISE. V THOU SHALT MAKE AND MAINTAIN EYE CONTACT WITH INDIVIDUALS IN THINE AUDIENCE THROUGHOUT THINE PRESENTATION. VI THOU SHALT PAY ATTENTION TO HOW THOU DOTH USE THINE VOICE. VARY THINE PACE, TONE, PITCH AND VOLUME OF SPEECH. NOTHING PUTETH AN AUDIENCE TO SLEEP BETTER THAN THE MONOTONY OF A REPETITIVE VOICE PATTERN. VII USETH NOT THE LASER POINTER NOR SHALT THOU TURNETH THINE BACK TO THE AUDIENCE AND READ THE SCREEN. IX THOU SHALT REPEAT THINE MOST IMPORTANT POINTS AT THE END SO THAT THINE AUDIENCE DOTH REMEMBER BEST WHAT THOU WISHEST THEM TO REMEMBER BEST. X ABOVE ALL, THOU SHALT SMILE THROUGHOUT AND PRESENT A JOYFUL COUNTENANCE TO THINE LISTENERS. Howard Schultz: Can His Message Win the Middle? February, 2019 — I like Starbucks coffee. We buy it by the bag (Espresso), ground for a paper filter, and brew it at home. I don’t like standing in line in a Starbucks store, and I really don’t like the prices. 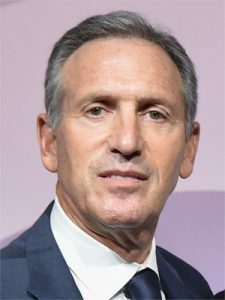 So it was with mixed feelings recently that I watched former Starbucks CEO Howard Schultz roll out his exploratory third party presidential bid. Any conflict I had went away when I heard his first ideas about what we need to do in this country. In the “60 Minutes” interview that opened his campaign as a “centrist independent”, some of the first words out of his mouth included “debt” and “deficit”, and he underlined that one of his priorities will be finding ways and means to deal with the more than 22 trillion-dollar national debt and trillion-dollar-plus federal budget deficits. It’s a challenge that both Democrats and Republicans have been avoiding for years. He then moved on to the need to address healthcare in a realistic way, and I was intrigued. Here was the message I had been waiting to hear, and I do not think I was alone. I am, in microcosm, pretty much the voter Schultz is courting from the center-left and center-right of the political spectrum. I am a lifelong Democrat who admires the energy to the left of me in the party but can’t see quite how we pay for it more costly notions on healthcare, education and guaranteed incomes for all. I also believe there are many in the Republican party, worn out by Donald Trump’s personal and policy excesses, that are paying attention, too. So when Howard Schultz says, in so many words, “A pox on both parties. They’ve lost their way. It’s time to roll up our sleeves and get real,” he’s tapping into what I think is a potentially large audience that might just be responsive to his message as the campaign unfolds in coming months. Having said that, it’s an almost impossible long shot that Schultz will attract enough support to win the White House. Third party candidates elect other people, not themselves. Schultz signaled he knows that. He was clear that his goal in running was to deny Donald Trump a second term, and that if his candidacy appeared to make that more likely, he will get out of the race. Democrats urging him to get out now apparently didn’t hear that part of his announcement. So what’s important about Howard Schultz if he can’t win? For me, it’s about the messaging. His candidacy gives a chance for discussion of important issues this country is facing — crushing debt and yawning deficits, real national security problems such as cyberthreats, practical ways to improve healthcare and education, generate sustainable economic growth and restore respect for the rule of law. If he can trigger a serious dialogue on even some of these topics, Howard Schultz will perform a great public service. I’m rooting for him on that score. And who knows? He may catch fire and galvanize a sizeable constituency. So I am happy to see Howard Schultz in the presidential race even though I fully expect, at some point, to see him acknowledge that he can’t win and urge his supporters to vote for the Democratic candidate. Until then, I say: “Go, Howard, Go.” I’ll be listening, and it will be interesting to find out how many like me there are. I have a hunch it could be lots more than many pundits think. What separates the most dynamic public speakers and corporate presenters from those who don’t stand out? In more than two decades of working with speakers ranging from top executives to athletes and celebrities, I’ve found the best verbal communicators know how use their voices to enhance their storytelling impact. Most speakers work to understand the interests, needs and concerns of their audience and prepare targeted messages. The better speakers find ways to enhance their messaging with anecdotes, examples and stories that humanize, personalize and add emotional impact to the topics they discuss. But the best speakers are the ones who know how to use their speaking voices to achieve their communication goals. Great speakers use voice technique to grab and hold the attention of their audience, underline key points, change the tone and mood of the room, and they have some time-honored rules of the road by which they do it. They do it by changing the volume and pace of their speech – sometimes louder, sometimes softer, sometimes faster, sometimes slower. A yell or a whisper at the right moment can galvanize a room. They do it by ending sentences in various ways – sometimes with an up inflection in their voice, sometimes down, but never in a sing song monotony of sentences that end the same way – the ultimate invitation to listeners to take out their phones. They do it by using the power of silence. They know it’s called the “pause for effect” with good reason. In short, the very best speakers know their listeners need variety in the way a speaker uses his or her voice to stay involved from beginning to end. How many times have you heard someone speak and come away with the feeling that the presenter was speaking directly to you? Chances are, that was a speaker who paid attention to how they were using their voice. Got a presentation coming up? When you practice, pay attention to how whether you are using your voice to maximum effect. Use some of the tips and techniques above to enhance your impact. It will set you apart and improve your results with your listeners. Is the Reality TV President Losing His Audience? ** Know your audience — its interests, needs and concerns, and most especially its hopes, fears, wishes and dreams. Now into the second year of what I think has been appropriately labeled “The First Reality TV Presidency”, how is this “show” is playing? As the Trump presidency continues to unfold (or unravel, depending on your point of view) it is beginning to look to this observer as if both the message and the messenger aren’t working quite as well as they used to. What sounded fresh to the faithful (and frightening to others) when Trump was on the stump has become old hat. Trump’s rallies today look like nostalgia plays, hardly the stuff of a transformational political movement. Moreover, as each day goes by, the implementation of Trump’s promise to “Make America Great Again” is proving to be underwhelming. 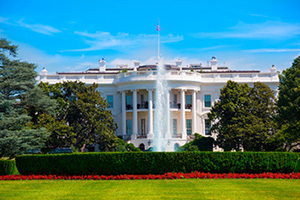 The “steak” of presidential performance is not delivering on the “sizzle” of the promises. Is Main Street really benefitting from the much-ballyhooed Trump tax cut? Are people relishing a future with trade and tariff wars? Is health care better since Trump moved into the White House? Does America feel safer and see its future brighter under the chaotic leadership of Donald Trump? These are just a few of many questions that the ad hocracy of Donald Trump has raised. It is a list that also includes issues even the most ardent Trump supporter cannot ignore — the Twitter tantrums, positional flip-flops, record number of firings, personal indiscretions, and whatever is coming from the Robert Mueller investigations. Will Trump’s salesmanship and showman DNA keep him on top moving forward? In the end, Trump’s self-assessment that he could walk onto Fifth Avenue in New York, shoot someone and not lose popularity, may prove true. Still, as the Trump-directed Ship of State sails on, it does so now with something new on board: the undeniable understanding among 320 million passengers that this first “Reality TV President” is a man who cannot be trusted. The feeling here is that cannot be good for “ratings” moving forward. I KNOW THINE AUDIENCE AND REMEMBER THAT THINE MESSAGE MUST AT ALL TIMES RESPOND TO THINE AUDIENCE’S INTERESTS, NEEDS AND CONCERNS. 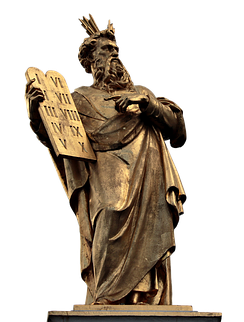 II THOU SHALT ACTUALLY PRACTICE THINE PRESENTATION BY SPEAKING IT OUT LOUD MANY TIMES. V THOU SHALT TRANSLATE JARGON INTO WORDS OF COMMON UNDERSTANDING. VI THOU SHALT MAKE AND MAINTAIN EYE CONTACT WITH INDIVIDUALS IN THINE AUDIENCE THROUGHOUT THINE PRESENTATION. OF A REPETITIVE VOICE PATTERN. X ABOVE ALL, THOU SHALT SMILE. “A guy goes into a bar . . . “ WHEN IS HUMOR IN A PRESENTATION THE RIGHT STUFF? May, 2017 – When is the right time to use humor in a presentation? How much funny stuff is too much? What kind of stories are o.k.? Questions like these come up frequently in workshops, and I have heard a variety of opinions on the answer. My view is that humor is a powerful tool that can have benefits for the presenter and the audience. When used properly, it can be a great way to establish rapport and set comfortable tone that helps maintain audience attention. At the same time, humor does have risks. Don’t forget what Winston Churchill said: “A joke is a serious thing,” First and foremost, humor you decide to include in your talk must be relevant to your topic. Unless your assignment is to do a stand up comedy routine, telling jokes for the sake of telling jokes is a no no. You must also pay attention to the kind of humor you are using. Self-deprecating remarks usually work well, especially if they highlight a quirk or shortcoming that’s common to everyone. Making jokes at someone else’s expense is almost always a bad idea. One final thought. Sad but true, when it comes to telling jokes and being funny, most of us aren’t terribly good at it. As the old show business saying goes: “Dying is easy. Comedy is hard.” Think about your own abilities in this area, and your limitations. Do the calculus in deciding whether the benefits of humor in your presentation are worth the risks. March 2017 — March Madness, the college basketball chase for a National Championship, is an American Rite of Spring. In the annals of this annual attraction, there is no basketball coach whose record of success begins to match that of the legendary “Wizard of Westwood,” the late John Wooden. Between 1964 and 1975, Wooden’s UCLA teams won 10 of 12 NCAA championships, including seven in a row. No team or coach has since come close to this extraordinary record. Wooden’s success was built on his ability as a teacher, but his teachings were not basketball-specific. For example, here are three eminently adaptable sayings of the “Wizard” to help you succeed when you give a presentation, meet with the media or speak to any audience. What’s at Stake in this Fight? January 2017 – In the first week of Donald J. Trump’s presidency, sales of George Orwell’s 1984 jumped to the top of the best-seller list on Amazon.com. Why the sudden attraction to an almost 70-year-old warning about the dangers of totalitarianism that introduced the idea of “Doublethink” and the language of “Newspeak”? With the understanding that correlation does not mean causation, it is difficult not to conclude that President Trump’s performance during his first days in the White House – a tone-setter during which, among other things, he presented us with the patently false notion that the crowds who attended his inauguration were the largest ever, and declared war on what he terms the “dishonest media” over its debunking of that claim amid other perceived sins – was behind the new interest in the old classic. For the record: I am not a Donald Trump supporter, and did not vote for him. The conventional wisdom holds that Donald Trump “broke all the rules” in his successful campaign for the Presidency, and that he has possibly rewritten the politician’s playbook for success. But I suggest that in order to best understand how Trump managed his victory, it is just as important to take note of the rules Trump did not break on his way to the White House. The CEO was surprised. “I need to look away in order to think,” he noticed during a recent coaching session to prepare for a panel discussion to be video webcast to a global audience. The executive was referring to his habit of regularly breaking eye contact in order to organize his thoughts while responding to questions during videotaped role-play interviews. The habit made him appear detached and ill at ease, detracting from his credibility and positive perception of his message. There is an epidemic afoot in the land that you won’t find in a list of infectious diseases. I call it the “content-free speech” virus, and it is seriously degrading the quality of discourse at every level of society. Be warned: Failure to treat this insidious malady can destroy careers, reputations, deals and entire organizations. The afflicted are unable to avoid interspersing their speech with entirely content-free words or phrases. “So . . . I’d like to take a few minutes of your time to . . . y’know, like, um . . . talk a little bit about people who . . .um, y’know . . . say they are interested in being better communicators, all right? Thanks largely to Hollywood and cheap jet travel, the British traveler often knows that to satisfy the cravings of a sweet tooth, you need to ask for a cookie in an America bakery, and not a biscuit, which will get you some kind of breakfast or dinner roll. And to answer nature’s call, Brits often understand that you’ll get there faster in the US by asking for the bathroom or the restroom, and not the loo. Conversely, many Americans know that in Britain, French fries are called chips, and that if they want potato chips in the UK, they need to ask for crisps. The fact that in London the tube is something that you ride, not something that you watch, is also a usage many Americans are clear about.